We talked about the latest restrictions and how oakmoss is one complicated issue and tried to disentangle it a bit in Part 1. But there are more resticted ingredients, whose pros and cons we hope to analyse here. Yet revelations happen with the sudden “swoosh” of pyrotechnics. I urge you to click the link (it's NOT the well known IFRA amendement, it's a different organisation) and read the participating members on the last page; blink a little and read again! “Remember that not only the perfume extract contains a great amount of French jasmine but also this is at the heart of all marketing stories of Chanel. Chanel always insisted on the quality of its jasmine, being one of the very few to use the French type, also cultivated by Chanel” and from a marketing point of view, how can you communicate about jasmine now? 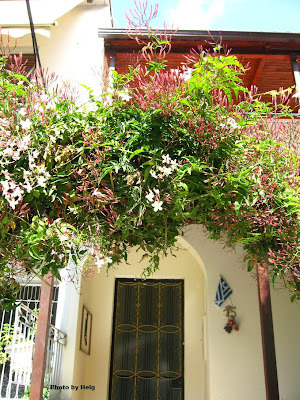 Can you show the fields, the extraction and write articles about No5 history and quality when IFRA tells that "jasminum grandiflorum" is "poison"? It’s a problem. The continuation of the myth will necessarily have to be a covert lie. However Chanel in either an attempt to salvage what they can (how? I’d advise the Wertheimer brothers to make a statement to that) or to retain their market share without increasing prices are condoning the reformulations. I do know that they are rigorous in preserving quality and just as there are different grades of foodstuff so there are in perfumery ingredients, so they will use the best available. But still the question is: what will there be available? And Lauder is also a member of RIFM. This makes the futile hope of people in the US that American made perfumes might retain their formula unchanged just that…futile. It was plainly to see before, since Lauder fragrances are made by IFF (who belongs to IFRA), but since not all people know that tidbit, it’s worth mentioning now. 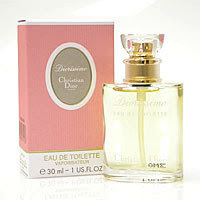 Yet some citrus essences can be realistically replicated. Want proof? Go smell In Love Again by Yves Saint Laurent. Great realistic grapefruit note, huh? 100% synthetic. But that doesn't diminish the artistry of it, nor should it deter you from using it. "There are few willing to take a stance on this. I will. I will continue to use all of the aromatics I wish, with a warning label. If, as it seems it will, the regulations come to the USA, and the FDA enforces them, I will protest and am willing to become a legal case, if necessary. I dare others to join me. That is my solution to the oakmoss, orange, rose, ylang ylang (ad infinitum materials) problem." Of course that means solely Internet sales... No brand which hopes to have their scents in brick and mortar stores can afford this, since they are subject to import laws (from either the EU or the US). Brands which use a high degree of natural extracts, citrus and otherwise, such as Annick Goutal, Miller Harris, and Ormonde Jayne are facing a very real problem, hitting them like a ton of bricks. Their buying of raw materials will be seriously challenged thanks to the tale-over of the Grasse companies of raw materials (as discussed here) and due to their drastic change in the formula they will have a hard time adjusting to the changes. You might stock up on those as well. In fact a MUA poster, Alabasterkitten, has noticed a bunch of them at Loehmann's last night, $50 for 1.7 oz - Songes (jasmine, ylang ylang), Mandragore (bergamot), Eau de Hadrien (lemon and citruses, oakmoss), Petite Cherie (pear synth), Gardenia Passion (oakmoss, jasmine) and Nuits d'Hadrien (citrus)! As to other ingredients, there are many but there are ways around them without much compromise. Verbena has been singled out in online discussions, because it's a common aromatherapeutic infusion and oil and it created the question how it could be regarded as a "bad" thing. Well, litsea cubeba has a bracing lemony note that could sufficiently substitute it and in fact it extends the effect nicely into the middle notes, a trick often used by pefumers to extend tangy aspects. So, no problem there. Hydroxycitronellal (lily of the valley) is on the chopping block, as is majantol. Obviously lily of the valley will suffer as a note, not mentioning Lilial (by Givaudan) and Lyral (by IFF), which have also been examined regarding their sensitizing properties. Lily of the valley is a more common note than one would suspect, because it both opens up the bouquet of classic perfumes and it imparts a collateral “clean” note to modern ones (perhaps due to its mega presence in functional cleaning products). Diorissimo has already changed it packaging to denote the change that has been implemented to the levels of hydroxycitronnelal: the newer white packaging with pink “oval” bearing the name states hydroxycitronellal further behind other ingredients instead of the slightly older batch of pink packaging with white oval. The change is subtle and very cunning: while right now the packaging can be an indicator of batches, the introduction of a different colour schema is an optical blurring, ready for further –and final- chopping off! The consumer will never be able to realise without minutely examining the allergens list, which -let’s face it- is not what most people do. Ylang Ylang is that rare thing: a comparatively inexpensive natural. Which poses a question over its impending restrictions. Baffled there. Jasmine grandiflorum will be limited to 0.7% and jasmine sambac to 4%, under the latest 43rd amendement of IFRA. They are potent, so even a little helps, but 0.7% is getting pretty low...Jasmine is the emblem of quality French perfumery, a whole mythos behind many famous classics (No.5, Joy etc.) as stated so passionately on Grain de Musc and sadly both the grandiflorum and the sambac variety come under the latest restictions. And since Grasse jasmine was used in only the extrait of those classics, if you absolutely love those, you might stock up. Although don't be fooled, they have already been altered numerous times. No.5 has been stated to have changed its musks (eradicating the nitromusks so maligned by environmental studies) but smelling olde batches confirms that it’s not only them that changed. Since P&G (who belong to the RIFM oganisation, as stated in the above PDF) are the licence owners for parfums Patou, Joy is also to be changed irrevocably, probably to the great chagrin of resident perfumer Jean Michel Duriez. The matter is terribly complicated, but....Plus ça change, plus c’est la même chose! 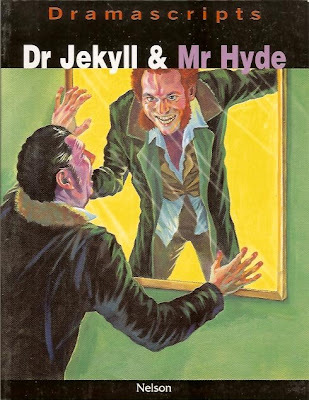 Pic of Dr.Jekyl and Mr.Hyde cover via sbfmedia.relationalhost.com. Diorissimo through photobucket search. Jasmine by Perfumeshrine, all rights reserved. Oh honey, thank you! Off to go read! Re-read the RIFM annual report earlier and noticed that there are no P & L's or financial info pages on it, although the index says there are...hmmmm....of course this may be protocol for putting an annual report on the web. But, if you read this thing, it is genuinely scary to anyone who loves fragrance. It looks like they're going to go after everything, every substance that could possibly irritate the skin on the ears of 5 mice and then 5 more mice (according to the research documents you offered on Tuesday). And next will come respiratory issues and eventually we'll be left with a florescent liquid resembling a melted Popsicle, if the Suits get their way -- and they always seem to in these times. But we can at least let them know that we're not as stupid as they think we are. We can turn away from their synthetic and sanitized "product" and urge other perfume-wearers to do the same. 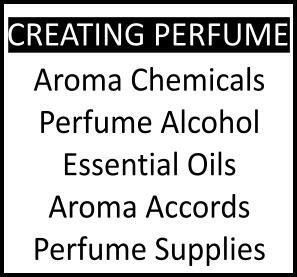 I guess I'll be hitting the fleas and fleabay for my mainstream scents (vintage only) and buying from the indies as a result of all this. Add this to grocery shopping at farmers markets, buying indie music, renting indie movies, searching out family businesses to support, etc. etc. -- retreating from the the soul-less corporate world. Hello, E. Thanks for this interesting series of posts. I've seen the RIFM annual report, and think that there is perhaps a need for some clarification. 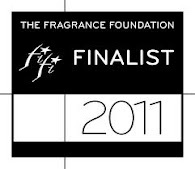 My understanding is that the international fragrance industry (i.e. IFRA) established the "science-based, non-for-profit Research Institute for Fragrance Materials (RIFM)" in 1966 to "engage in research and evaluation" of the safety of fragrance materials, and to be a clearinghouse for scientific and safety assessment information. The RIFM is guided in its activities by an independent Expert Advisory Panel (REXPAN) made up of scientists and physicians. The companies themselves "belong" to RIFM insofar as they pay the dues that form the basis of RIFMs operating budget (it takes money to do all those tests with mice and humans). RIFM conducts testing, and releases its findings in the form of technical reports (extensively cited in the SCCP report you talked about earlier this week) and papers in the peer-reviewed scientific literature. REXPAN summarizes these findings and makes recommendations for regulations that are then adopted by IFRA, and with which IFRA members (i.e. the fragrance companies) are obligated to comply. It may seem strange that the research that sets up these restrictive regulations is being funded by the very companies who will be affected, but my sense is that this often happens out there in the regulatory world. That is, companies are often called on to provide the funding for the research needed to regulate them. A parallel could be drawn here with the pharmaceutical industry (and people have expressed discomfort with the fact that many clinical trials of drugs are funded by the very companies who produce them). If it weren't industry-funded, though, who would fund the research? The government? Meanwhile, the companies have a strong incentive to belong to and comply with IFRA and RIFM (these are international bodies; they also belong to regional organizations like the EFFA) because of liability concerns. If they were to be sued, then they can state that their products complied with industry standards. Are the ylang ylang, jasmine and oakmoss finalized????? "...if they were sued..." exactly. It sound as though the fragrance companies are preparing to be the next target of allergy hysteria. I can't help but wonder, though, why the tobacco companies seem to be able to slither out of this year after year. 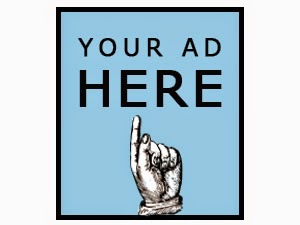 Money, influence, lobbyists, politicians, lawyers? Cigarettes kill and everybody knows it. And then there are prescription drugs and on and on. Self-regulation looks good and of course the money has to come from somewhere. Smoke and mirrors, IMHO; this is about money. As to the concept of sensitizing itself, am I the only one to have strong doubts about it? If it works as they say, it must be true for all our 'household chemicals' such as detergents etc. Can it be that a synthetic chemical is a weaker sensitiser than one derived from a plant? very good question and you're welcome. I believe it's standard practice not to reveal financial or funding info. There's a peplum of secrecy on those things. you're welcome and I thank you for providing yet another source of info! Still, this intersection of interests leaves me with a weird taste in my mouth. in some small way I believe the tobacco industry is more powerful than Givaudan et al. Therefore it doesn't surprise me they can escape. After all, they can always claim that it is a conscious choice on the part of the consumer and cigarettes aren't sold to minors (theoretically). The same doesn't apply to perfume. Plus tobacco is addictive, so they can rest easy assured in that knowledge ensuring them continued sales. Not quite the same with fragrance. But I agree, there's money involved. you said it best: "Looks like the key question here is who owns patents for all the proposed substitutes. If we learn that a good share of patents belongs to Chanel/Lauder, or any other member of IFRA or a related company - it will explain everything..."
Hi, E. To be honest, as I've looked into this, I've been somewhat impressed by all of the "structures" that have been put into place to ensure some degree of scientific objectivity and to make the decisions around regulations "evidence-based." The determination of "acceptable levels" of these various compounds is not arbitrary, and a lot of time and money has been spent on doing the research to support the regulations. However, we can have all of these protocols and structures and principles in place, but in the end, it is humans (with all of their varying agendas) who have to implement the process, and that's where things can go wrong. Bureaucracies can take on a life of their own, and lead us into all sorts of peculiar territories! reading this post made me quite sad ... i am mourning the loss of those materials which we will no longer smell in those perfumes we love, altering them (sometimes so much so that they bear very little resemblance to the original) and to what end? really, would it be so hard to slap an allergy warning on the packaging? you make an excellent point! I believe there is some desire from major brands to "cover their asses" in the eventuality of something going wrong, which is of course undestandable. And that explains their willingness to enter in this charade in the first place ~and possibly some desire to excuse the cut-backs in some quality materials, come to tackle the other issues. unfotunately the situation is rather complicated. As to why just labelling the packaging with a warning won't work in practice, please refer to the previous posts on the Ifra series. Let's hope they come up with some good new stuff, at least, and not run-of-the-mill mediocrities as they customarily do for years now.